The handsome young Capricorn is grounded, mature, hard-working, very sensitive, career oriented, creative and spiritual with Neptune conjunct his Capricorn Sun in the 11th house of groups, and serving the collective. He is also a unique independent person who is a bit of a rebel who must march to his own drummer with Uranus conjunct the Sun and Neptune. A serious thinker with Mercury also conjunct the other three Capricorn planets. With his MOON, symbolizing feelings, moods, intuition, at 15 degrees of Virgo in the 7th house of marriage he needs to be in a committed relationship. He is already engaged. We get the picture that this young man is a perfectionist, a worrier, humble, likes to please others, and has a very delicate digestive system related to the amount of stress he is under. With the Moon opposite to VENUS in PISCES conjunct his Pisces Ascendant and Lilith, this shows Zayn's great appeal to girls, who project their fantasies onto him. He is a chameleon who can become whatever others want to see. He is also a big sensitive psychic sponge with no boundaries who cannot deal with the adulation of millions of fans taking a psychic piece of him with their adulation. He feels it energetically as intrusive vampirism. Pisces rules glamour and perhaps Zayn is just checking out how it all works. He is a romantic of the highest sort and it can be hard for him to follow his own path. VENUS conjunct Lilith on his Ascendant means that relationships can be broken very suddenly for fear of being confined or dictated to. Also the introjection back from fans that he could be a "demonic cheater" as Lilith was accused of. His Mars Retrograde at 15 degrees Cancer in his 5th house of creativity and self- expression. These degrees conjunct the Fixed star Sirius bring fame. He is very close to his mother, his roots and traditions and sister. He wants to be a protective father. His PRIVACY is crucial to his feeling emotionally secure. His stomach is easily upset. He is very emotional and sensitive. He is a nurturer and with MARS Retrograde not sure of himself. He is more of a retreater than an aggressor. JUPITER planet of expansion at 14 degrees Libra in the 7th house. Jupiter is at its strongest at 15 degrees. Zayn is full of charm and charisma and very social. He is easily adored. A gentleman, with good taste. Jupiter is the focal point of a T-square for most of his planets. He needs others. SATURN in AQUARIUS in the 12th house. Saturn symbolizes his father, his religious background, his privacy. He needs privacy, he is conventional and unconventional at the same time. He might be happier running a business as a manager or organizer behind the scenes. Ceres is conjunct Saturn, he sees his parents as united and supportive. PLUTO symbolizes the soul. It's in Scorpio in the 8th natural house, which it rules. Money, power fame, control and sexuality naturally come to him. PLUTO is squared by both SATURN and CHIRON in Leo in the 6th house of work. 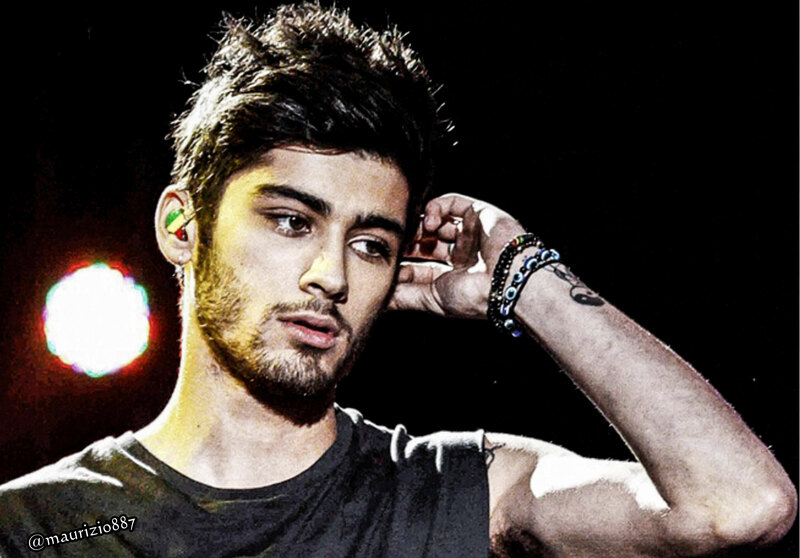 Zayn is both wounded, vulnerable and duty bound through his work. Zayn's North Node at 22 degrees Sagittarius is at the top of his chart at the high noon position.He loves to travel, teach, inspire, he has a good sense of humor, he needs freedom. His South Node at 22 degrees Gemini on the I.C. the spine or axis of his chart show how important his career direction is. The VIRGO MOON squares it and JUPITER and SATURN create a Grand Trine- not shown with his South Node. Zayn comes into this life with Good karma. I like to take the opportunity to explore people in the news and how the planets are driving their decisions. I was interviewed by The Voice of Russia’s online paper recently and they askedme about what I see as Edward Snowden’s future. Right after we started speaking on Skype, our connection cacked out and we were unable to reconnect. Edward Snowden, the 30 year old former National Security Agency and CIA contractor is now a fugitive in Russia for revealing the truth to the world about how the U.S. secretly carries on covert surveillance of its own people and governments around the world. People either Love, applaud and laud Edward for his bravery and patriotism or hate him and see him as a traitor and a spy. I wanted to check out his Astrology chart. Edward Snowden’s chart and the chart of the United States are inextricably linked to each other. born June 21 1983 at 4:42 am from his birth certificate in Elizabeth City North Carolina. Edward is a Mercurial GEMINI SUN born at the very last “critical” degree of Gemini, sign of the fleet-footed Messenger, making him the ULTIMATE messenger of the God’s. Edward’s Ascendant is at 12 degrees GEMINI-exactly the degree opposite the U.S. “Sibley” Natal chart’s Ascendant, so the U.S. and Edward’s direction is interfaced. Edward’s Mercury is also at 10 Gemini in the 12th house of the unconscious but conjunct the Ascendant. Edward has his Sun in the 1st house so he IS the Archetypal Mercurial Messenger. He identifies in that role. He has Mars, his direction, Mars is the Military, what he defends, at 24 degrees Gemini conjunct the Sun and the North Node which represents his Highest Spiritual Goal at 25 degrees GEMINI. The Ascendant, Mercury, the Sun, Mars, North Node conjunction makes him a quintuple communicator. The North Node is conjunct the POLE star, the star that all sailors navigate around. This is a very powerful symbol. Edward’s highest evolutionary goal is to be a Light bearer, a way-shower for the rest of the world, through communicating a message that will have world-wide impact, in a direct, aggressive, defensive, Martial way. This fits his situation perfectly. The MOON is at 13 degrees SCORPIO in the 6th house. The Moon is instincts, unconscious motivations, feelings. In Scorpio this speaks of power, secrecy, manipulation, control, espionage, surveillance, the shadow, danger, the thief, vendetta, death, change, transformation, through his work. Also fits the situation to a T.
His Mercury and Ascendant is quincunx to his Moon indicating that he is at odds with his work, and being of service. Edward’s Venus, his values, what he loves, how he loves, is in LEO at 14+ degrees which is actually the 15th and most powerful degree of Leo in the 3rd house. Venus in Leo is courage, daring, protecting what he loves, dramatic. He is proud, fearless, a leader, self- expressive, creative, very heart-felt, like a child playing a role. In the 3rd house, this is the natural house of communications. Jupiter is at 3 degrees Sagittarius Retrograde, the Sign that it rules, so it is very strong, but held back or repeating a Karmic lesson in the 6th house. Jupiter is BIG,truth, vision, the Higher Law, foreigners, teachers, philosophers, the military regalia. Uranus is conjunct Jupiter at 6 degrees also Retrograde. Both of them oppose Mercury so they are interconnected. Uranus is also conjunct the Descendent, the 7th house cusp, meaning Edward is always a cutting edge, revolutionary, freedom loving person. The Jupiter/Uranus combo binds their energies so they amplify each other. This is a Super expansive, International, Hi Tech, innovator, rebel-Uranian, who MUST TELL THE TRUTH in Sagittarius. Interesting the double Retrograde indicates that karmically Edward may have done something similar before or that he came back to wage a vendetta on those in power-Judges, or former Overlords who oppressed him in the past. CHIRON at 29 degrees Taurus, is conjunct to the famous Pleiades. Chiron the wounded healer, in the 12th house of the unconscious is opposite Jupiter indicating there is an Unconscious wound, a palpable, bodily sense for Edward, of what is right and wrong, what is truth. HE has a felt sense of being wounded unconsciously which triggers him to act in service, the 6th house to a greater Higher good. Saturn at 27 degrees of Libra Retrograde in the 5th house of creativity, is conjunct Pluto at 26 degrees also Retrograde. Pluto conjunct Saturn is the hallmark of Edward’s generation who have all chosen to be born with this difficult, heavy, karmic soulful sense of JUSTICE- the sign of Libra. Saturn is tradition, the Patriarchy and Pluto is the Lord of Death, change, transformation. The 5th house is the natural house of LEO, the Sun, the source, self- expression, drama, creativity, COURAGE. These 2 heavies Trine Mars, North Node and the Sun. So this is an easy aspect and imbues Edward’s entire personality with this sense of heaviness, and deep soulful transformation as part of where he would express his innate love of freedom,truth and being courageous enough to risk his life for his beliefs- Mercury. NEPTUNE, in Edward’s 7th house of relationships, the higher octave of VENUS is at 27 degrees Sagittarius – exactly on the Galactic Center. Again this is a generational hallmark of all people born in the year before and after 1983. Neptune is where one is intuitive, one’s dreams, psychic energy, visionaries, faith, illusions, delusions, addictions,idealism, unbounded, glamour. Neptune as ruler of Pisces, energy is chameleon like, super sensitive, has no boundaries, is Christ’s symbol. I personally believe that people with planets conjunct the Galactic Center are directly tuned into its’ vast multi-dimensional Black Hole energy. Neptune is of course opposed to Edward’s Mars, North Node and Sun in the 1st house. This makes Edward a virtual sponge, absorbing everyone’s energy around him, he can be a total chameleon blending in invisibly. He is a total idealist. Neptune’s energy at its highest expression is selflessness or martyrdom. He is an atheist but I feel he has great faith in a Higher Good, or at least in the power of telling the truth, ever the Sagittarius philosopher, and that is what motivates him. Edward’s MC or high Noon position is at 20 degrees Aquarius, the sign of technology, revolutionaries, freedom fighters, strong individuals who resonate with being part of the collective. They are unegotistical leaders. Planet Uranus rules his MC and it is placed in the 6th house of service conjunct Jupiter sign of truth telling. I could belabor the point in his chart but it is so obvious to me, that Edward’s highest spiritual, karmic, goal was to do exactly what he did. Expose the hi tech surveillance of the government to help the people. It’s all over his Natal chart, the fact of his being courageous, daring, secretive, being accepted by foreign countries-Jupiter for asylum. I think he is used to being alone with his Scorpio moon. He has always felt like an outsider. I see that Edward Snowden is a very brave young man. Yes his life is on the line now and will be so for a very long time although I do believe that he will receive great honors down the road. Even a Nobel Peace prize. Americans, Canadians and most of the people in the world are so naive. I really don’t know where this idea that the government is a benevolent agency that most people naively ascribe to, came from. Not many governments really ever really act on behalf of its citizens. That’s why the myth of King Arthur and the Court of Camelot is such a powerful ideal. The ongoing squares of evolutionary energy at play now through the planets Uranus and Pluto, are dismantling the world’s governments and economies. The old PLUTOCRAT’S are bound to fall during these next few years. The Plutocracy in their covert surveillance is fighting to control every individual’s freedom and to grab everything on earth they can now, water, food, gold, oil that they can. This includes Muslim fundamentalists, that entire type of power control,that Fascist way of thinking, Big Brother attitude of the .0000%, the Federal Reserve, the New World Order which controls all the wealth and power in the world. Remember Uranus and Pluto created the 60′s and were the planets that were responsible for the Renaissance in the 1500′s. Edward Snowden is acting as a personal intensifier of those two planets’ energies to inspire others to do the same. On June 10 2013 the date that Edward’s interview with The Guardian was released, transiting Jupiter was at 26 degrees Gemini,and had just crossed Edward’s North Node opposite his Natal Neptune, the Galactic Center. Edward Snowden has been granted asylum for a year in Russia where he must stay invisible because his life is in danger at every moment from CIA and other secret organizations who wish to see him dead. Thomas Friedman wrote in the New York Times recently that Snowden could come back to the U.S. and get a fair trial. President Obama stating something similar in a press conference but it is not true. Snowden will never be able to come home and testify that what he did was for the public’s benefit as his charges will always be espionage. So don’t believe what the mainstream media tells you overtly at all. You know the secret game they are playing. In light of Edward’s natal chart, I believe Edward’s statement that what motivated him was not being able to support the system he worked for and live with himself knowing that he could personally make a difference by telling the truth, he knew the consequences of what he was doing. It takes a very selfless person to do what Snowden did, who is also brave enough to act on his principles. I totally thank Edward Snowden for being able to be an individual to be strong enough to say NO- the buck stops here. To really lay his life on the line for real liberty, democracy, freedom of speech. Everything that America Canada and the rest of the “FREE WORLD” supposedly holds so dear. WAKE UP people. We all need to follow Edward Snowden’s lead in whatever ways we can. He is a great role model and many young people will emulate him. We all need to have a real sense of ethics, honor, bravery, will and be smart enough to figure out how to get away with it. To me Edward Snowden is a modern Knight in Shining Armour. He will continue to leak information very selectively and carefully. He does have hackers and other individuals who are helping him. Transiting Chiron in his 10th house of reputation is squaring Edward’s Ascendant, I believe he is symbolizing the world’s wounds in Pisces. He is feeling vulnerable of course. Transiting Neptune in his 10th house is also squaring his Natal Jupiter. Neptune is the illusions and delusions surrounding the truth he has revealed. Neptune rules film and one is in the works about his life. On April 15 2013 there will be a Lunar Eclipse at 25 degrees Libra which falls right on his Natal Pluto Saturn. As the Moon represents the moods of the people, this indicates a time of further revelations and emotional changes for Edward. I send Edward many blessings and protection from the Galactic Center the big wigs that govern the evolutionary flow of this Galaxy. WHAT DO YOU THINK of Edward Snowden? All writing copyright Tara Greene 2013- infinity. its’ the tout suite and a New Chinese President as well March 14. The POPE was only one of two Pope’s on the list who had a CLEAN RECORD of sexual abuse. He was a smart choice. South American has a huge devout Catholic population. Hispanics are one of the largest growing language and culture groups in the United States,and South America is set to be one of the richest and THE spiritual center in the world for the next 12,000 years according to Drunvalo Melchizedek in his book Serpent of LIGHT. Just as Tibet and India were center’s for the last 12,000 years, it is now South America’s turn. ST. Francis was known for being a simple humble man who communed with nature. The New pope is a Sagittaria and they love animals. Pope Francis has the North Node conjunct his Sun very near to the Galactic Center, making him a very powerful charismatic leader and teacher. He may appear simple and uninterested in the mundane world. This indicates he may have a visionary, have a real metaphysical higher calling. An honest, New Age philosophy POPE? How does he see the People and Women? Moon in Aquarius is a hi tech POPE- perhaps he will start a BLOG, and use the new technologies to reach the flock. The POPE on I PHONE giving I Benedictions. He is detached in his feelings and sees women as things, objects. Although he has PLUTO in Cancer opposite that exact MOON VENUS conjunction. He may feel very nurturing protective private and insecure deep down. Perhaps very close to his mother, sentimental about his native homeland. he may sound very businesslike, have strong Patriarchal presence, easy to command, definitely conservative. he will try to keep the peace, although he may flip-flop. Mars in Libra has good taste, refinement, Good people skills. Aims to please others. The new POPE would be innovative, supporting birth control, gays, loosening up old ancient worn out traditions. He does want the People’s love. He is analytical, intelligent, hard-working, a simple man, devoted to being of service. that she will ridicule him. ERGO bind that woman, that Harlot, the Whore of BABYLON. that’s what Sagittarius love to do best. which in this age of dwindling respect for the PAPACY would be revolutionary. St. Francis walked his talk, lived a simple humble spiritual life listening to Christ in a bird’s song. that would be really sweet and simple and what the world needs now. Does the New Pope have meaning for you?